The eve of 2017 barrels toward us and that means parties with friends, good food and of course – champagne. 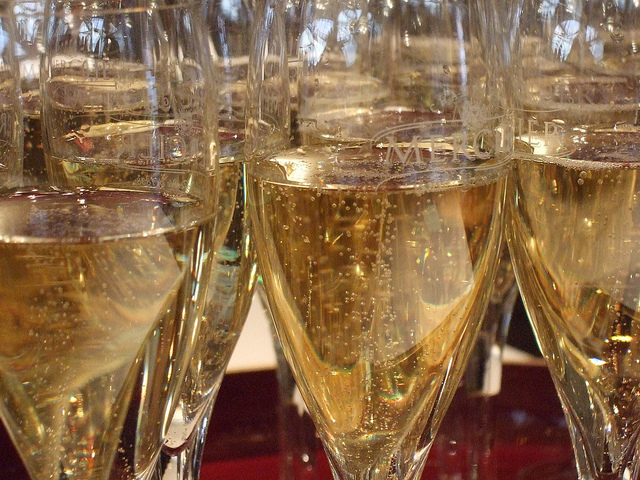 It just wouldn’t be New Year’s Eve without a glass of bubbly as the ball drops in Times Square. What some don’t know, though, is that cigars and champagne can make an excellent pairing if you pick the right flavors. So don’t put away your favorite smoke on NYE. Instead, toast the start of 2017 with some excellent champagne as you enjoy a smooth cigar and start the year off on a high note. Generally when we think of pairing liquor and cigars we all go for the brown liquors – whiskey, bourbon, cognac, etc. Because champagne is a much lighter drink, it’s important to keep this in mind when selecting a pairing. If you have an expensive bottle of champagne waiting to pop save it. The strength of a cigar will quickly overpower the delicate notes of high-end champagne. Instead, bring out champagne that is more middle-of-the-road: good flavor, dry, and a reasonable cost. To go with the milder alcohol, you need a milder cigar, too. Without the weight of a strong whiskey, a bold cigar will overpower everything and you won’t be able to really enjoy the champagne. Instead, try a cigar that is well balanced. Not too bitter or strong, with milder flavors such as oak, light spice, nuts, or a little sweetness. A cigar that has a smooth and creamy taste to it will go very well with champagne. If you have been aging any cigars, these will usually pair well, too. As many cigars age they develop a smooth, mild yet complex flavor. A perfect fit for bubbly. So long as the cigar has not lost its flavor with age, buying one that has had months to enhance its flavor in a humidor is an excellent choice. If you don’t own a humidor, or haven’t been aging some cigars at home, just stop by your local cigar shop and they will be able to select a perfect smoke for your New Year celebration.